This day always brings out the hidden romantic in me. I slip into verse at the drop of a pawn. When it comes to endings, I haven't a clue. You have a face like the Benko Gambit. Let's stop playing chess and jump into bed. 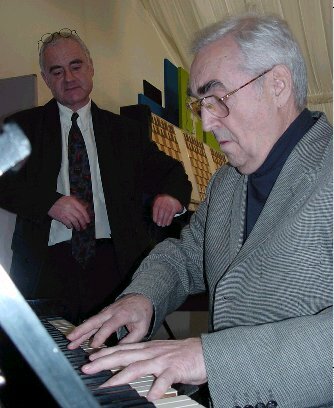 Chess Player and concert pianist Mark Taimanov was 80 this week. are remembered for one incident in one match. Jim Baxter, sitting on a ball. Gordon Banks, that save v Pele. ever pulled on a pair of boots), The Hand of God. So it is with some chess players. Jean Dufresne, the Evergreen game. Tony Miles, 1...a6 v Karpov. Frank Marshall, losing the original Marshall Gambit. against you know who is mentioned. I'm not going to mention it. I have a few Taimanov games and a position to show. As always they have been selected for their under 2000 instructive value. The first is a little cartoon. White plays the trappy 6 Re1 against the Open Lopez. white is going to end up with an undefended Knight on a4. Undefended pieces are root of all double attack combinations. missing the trick. An easy game for Taimanov. It was played in the USSR Championship 1947. This position is from a game v Tal (white) played in Riga 1954.
with a draw the likely outcome. Tal's sense of danger completely deserted him. Instead White played 52 Qe3? and Black played...? Even in the simplest position danger lurks. White then lays siege to the e-pawn, Nc4, Nf3 and Bb2. the e-pawn had been taken. the Rook but then noticed 16...Rxe5 17 f4! develops and watches Black dig his own grave. A series of accurate strong moves (19-21) and it's over. It was played in the USSR 1950. I have Taimanov's best games, written by Taimanov. Highly recommended. He has played some magnificent games. He mentions the match v you know who. St. Valentines piece in THE SCOTSMAN on the 14th of February. He has a rather unique chess 'love' problem ready. everybody does when Taimanov's name comes up. 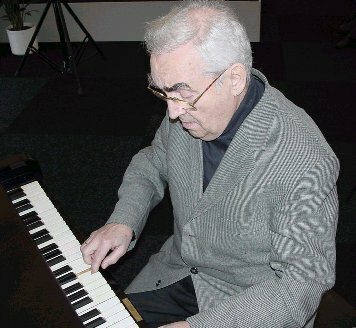 I thank John for the pics of Taimanov I used (he sent me six, I sent him nil). when 53...Qb1! and it's over.